Finding ways to manage your kids’ growing toy collection is a never-ending battle. Just when you thinkyou have the clutter under control, you see the toys start to spread throughout your home, landing onshelves here and there or hiding out under a throw rug. You can help keep the mess under control by periodically sorting through toys and giving away those items your kids don’t play with often anymore, or you can pack away some of the toys periodically to institute a rotation. Finding the right kids storage units is also essential to keeping your home organized. You need storage options that are easy for kids to reach and maneuver, such as storage cubs. But you also need options that are safe, which can make shelving with storage a challenge. 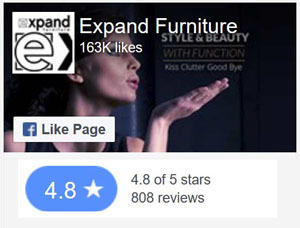 The modular storage system at Expand Furniture is made of the highest quality materials and with the highest quality workmanship. That means that the system is built to last. With its longer life span, the modular storage system is more eco-friendly because it minimizes your need to buy new shelves and storage cubes. The shelves and cubes in the system are also water-proof and stain-resistant, so they will not damage easily. Again, these characteristics contribute to a longer life span for the product, which reduces demand for new resources. 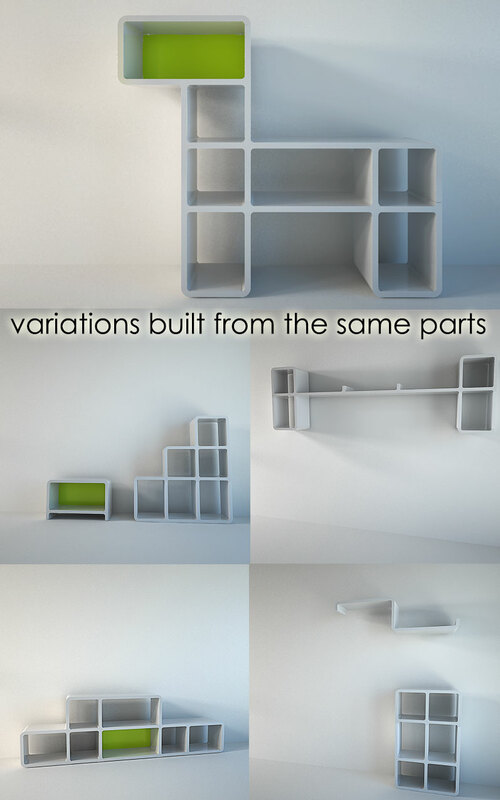 Our modular storage system can be used as floor or as modular storage wall shelf system. You can stack storage cubes, or you can hang shelving with storage. You can set up the system so that children of all ages are able to reach the toys. Of course, you can also hang the shelving with storage high to keep certain items out of small hands. The system is also easy for adults to use. It can easily snap together to create different sizes and shapes so that you are able to fit the space and create the specific storage solutions you need for various toys. Because the modular storage system is snapped together with interchangeable parts, you can create just about any design that you like with them. 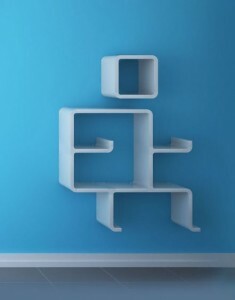 For example, we have a bookcase shaped like a puppy that offers multiple storage compartments in the head, legs and body. Kids will love the fun design, and adults will love all the storage that the unit offers. Even when you buy a set that is meant to take on a specific design, like the puppy bookcase for lids, you can always change up the look when you feel like it. The parts are designed to fit together in multiple ways, allowing you to create stacks of kids storage units or some other design. Safety is of primary importance when you are evaluating any product for kids. 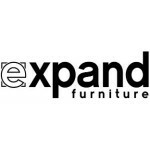 The modular storage system from Expand Furniture is built to be very sturdy and safe. The high-quality materials and internal support structure ensure that none of the shelves bend. High-strength hardware is included to securely mount shelving to the wall so that it won’t fall. You get clear information about how much weight the system can support so you do not risk inadvertently overloading it. The parts are also made without the use of harmful toxins, such as formaldehyde. 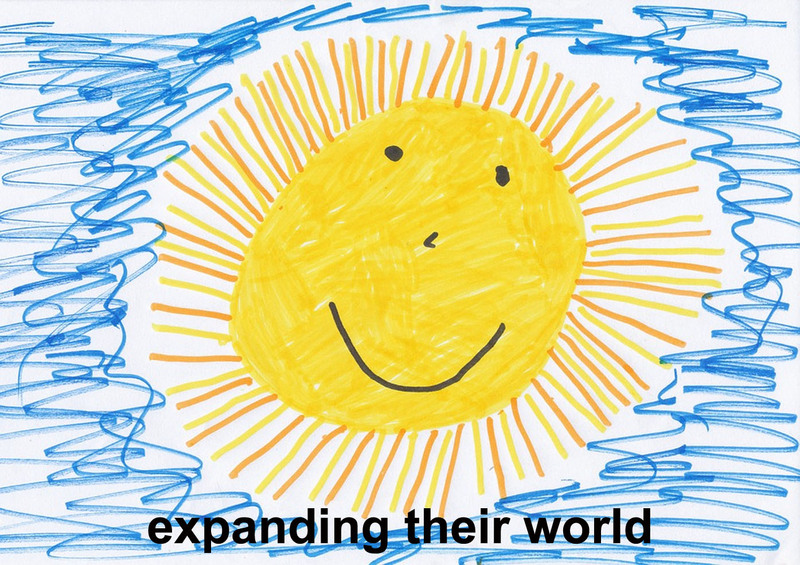 That makes the products safe for your children and better for the environment. You don’t have to worry that when you are done with the system, it will end up in the landfill and polluting the environment. 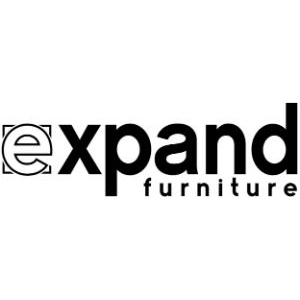 Expand Furniture is committed to providing you storage solutions and space-saving furniture that will help you remove clutter for your home and maximize the space you have. Our storage cubes and shelving with storage make for ideal kids storage units thanks to their durability, flexible design, and safety. You can create fun storage solutions for your kids’ rooms that you can also feel confident are safe for your children and for the environment. 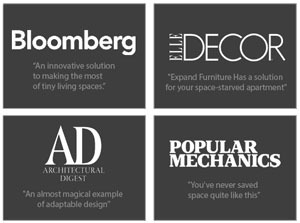 Explore our catalog or contact us today to learn more about our modular storage options or our other space-saving furniture.